Lyssa always volunteers and I feel bad about not doing it myself. This year I decided that I needed to — at least once. I went back and forth trying to figure out how to complete this goal. Initially, I wanted to look into being a volunteer fireman, but I did some research, and the hourly commitment was too much. I want to sign up to volunteer for something and go when I can, not be committed on a weekly or daily basis. You never know if you’ll like doing something, so I don’t want to be locked down. Then came Lyssa’s goal of adopting a street. BINGO. I care about the environment and I hate seeing trash on streets, so what better than to help her complete her goal while also accomplishing my goal? 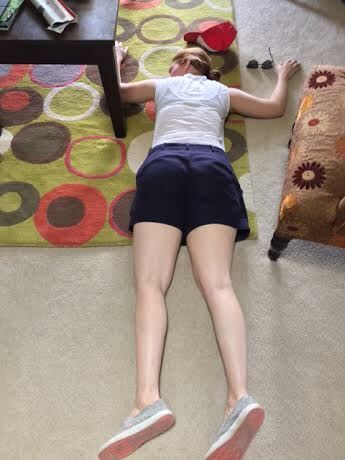 We picked a hot day (89 degrees). Not the smartest move, but we burned some extra calories, I guess. 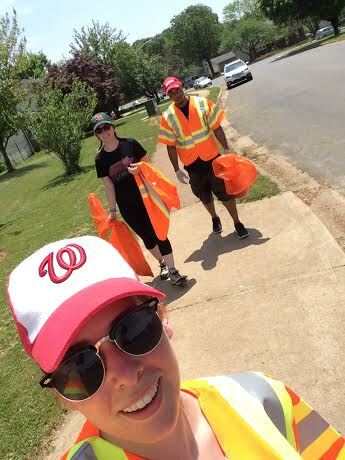 One thing that stood out during our clean-up was the cigarette butts on the ground. There were so many. That really pisses me off. Have the common courtesy to throw the butts away in the trash! I’ve written about the adopt-a-highway process and I’ve already officially completed this goal as it concerns the paper work, but now I’ve actually cleaned up my little street-baby. 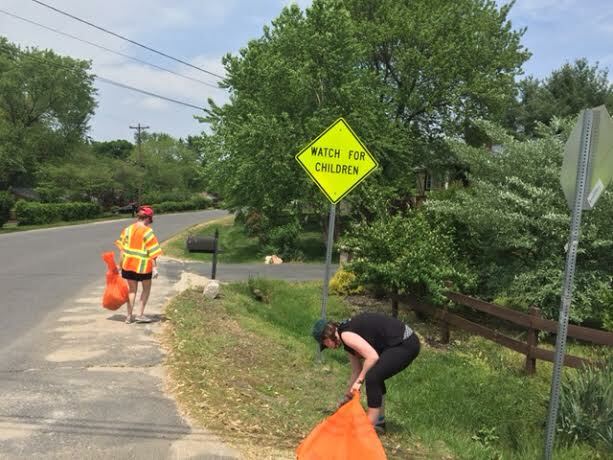 It was kind of spur-of-the-moment, so I hope to invite others who expressed interested to join us for future clean-ups, but for this round, it was just my family crew. I picked up the signage, the trash bags, and vest (no trash sticks – boo) earlier in the week, so on Saturday, we were ready to roll. As Kris mentioned, we chose a hot day to do our first-ever clean-up, but luckily for us, our 2.33 miles is relatively clean. The weirdest items we picked up: sweatshirt, hubcap, dirty diaper. But for the most part, we cleaned up cigarette butts. Lots of cigarette butts. 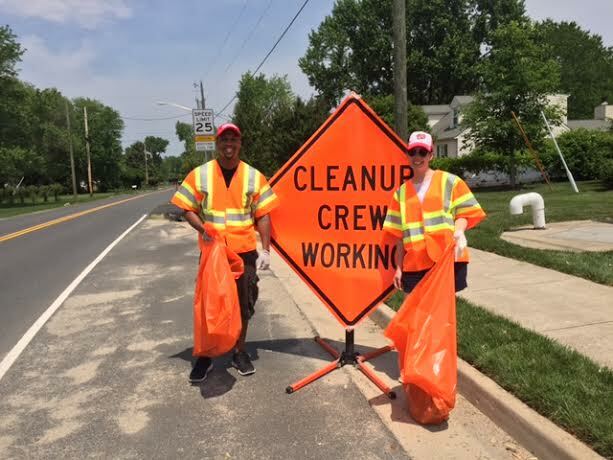 We were told to leave our trash bags on the streets (kind of weird) and now I’m supposed to report our trash to VDOT so they can keep track of our dirty streets. My Great Goal Rush Adopt-a-Highway sign is supposed to be erected in 11 weeks after our first clean-up. I can’t wait to see it!